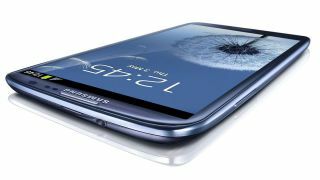 Vodafone UK has finally gotten its hands on the the pebble blue iteration of the Samsung Galaxy S3 handset customers had hoped to receive almost a month ago. Eager fans who pre-ordered the handset in the unorthodox shade had expected to take ownership of the device on the official May 30 UK launch date. However, a production error, which caused Samsung to ditch 600,000 cases caused delays in bringing the 16GB and 32GB pebble blue iterations to the UK. Vodafone has told TechRadar, who contacted customers last month to let them know of the delays, that it now has the handsets in stock and can start fulfilling those pre-orders. Initial estimates for the delays were anything between 2-4 weeks, so this fits right within that timeframe. Vodafone also pointed out that the customer split between the pebble blue and marble white is around 40% / 60%. ""The response to the SIII has been fantastic and anyone who's had to wait for their device won't be disappointed when they start to use it. We've sold tens of thousands of the SIII already, and there are no signs of that demand waning any time soon," says Dee Kaul, head of Vodafone's devices team. Despite the long wait for some customers to grab the 4.8-inch, Android Ice Cream Sandwich handset, sales are expected to reach 10m in July.